NIA CHARLESTOWN NEVIS (March 03, 2017) — Premier of Nevis Hon. 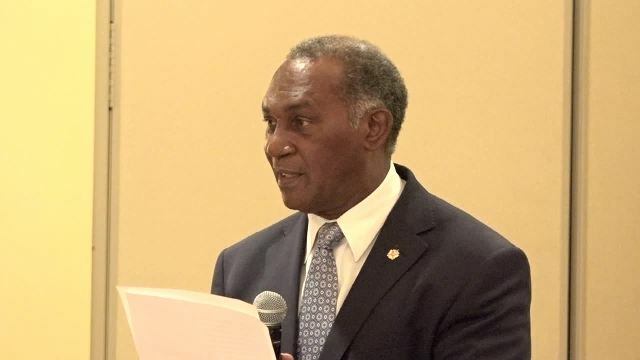 Vance Amory says the fight against crime in St. Kitts and Nevis is everybody’s business. He urged parents and teachers to play their part in stemming and reducing crime. 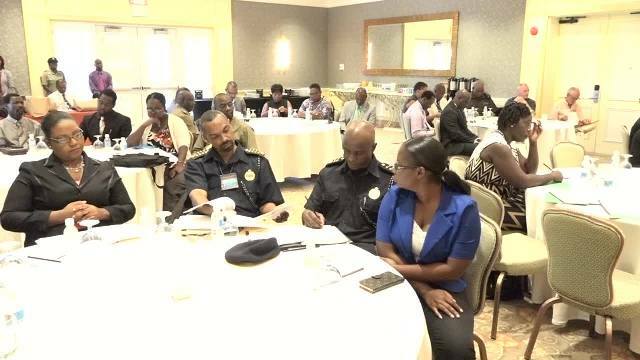 Mr. Amory, was at the time delivering an address at Part 2 of a Crime Symposium Workshop hosted by the Ministry of National Security, at the Four Seasons Resort, Nevis, on March 02, 2017, to address crime reduction in St. Kitts and Nevis. The first part of the forum was held in St. Kitts recently. “I’m saying that parents/teachers cannot condone wrong when you are seeking to shape your children’s behaviour and then when they do the wrong, when they have been shaped you cry, as we say here, ‘Lord, Lord’. The damage would have been done,” he said. Mr. Amory who spoke passionately about the issue of crime, also advised parents and teachers to discipline the children at home and at school. He urged all citizens to discipline others on the street who are doing wrong and advise them of their wrong. The Premier told participants, who were drawn from various sections of the Nevis Island Administration (NIA), that he wanted them to reshape their thoughts and actions on how they live in the society and should look at the symposium as a call to action. “As a government, we have the urgency and we are enlisting all of you in this urgency or this cry, or this action, to reduce crime. Prevent it. Get it out of our system,” he said. Mr. Amory explained that the Administration would do all in its power to counter the social, economic and psychological root causes of crime, and it is prepared to use every resource at its disposal. He stated that the NIA would continue to invest in social programs, to assist the young, the poor and the needy. “We will continue to provide employment opportunities for our people and provide care for those who are experiencing psychological problems. As a Government, we will continue to focus on crime prevention rather than punishment. However, if punishment is required, it should be administered,” he said. Other presentations were made by Crime Reduction Specialist Dr. Neals Chitan, Mr. Osmond Petty, M.B.E., Permanent Secretary in the Ministry of National Security gave an overview of the workshop and served as chairman of the event. The invocation was made by Reverend Telford Matthew, Chairman of the Nevis Christian Council.